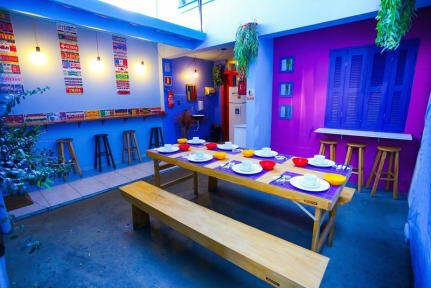 Located in the Vila Madalena district in Sao Paulo, bside the metro station, 2.5 km from Allianz Parque Stadium, 30 minutes by metro to Tietê Bus Station (Sao Paulo Central Internationa Bus Station) and 1.7 km from Benedito Calixto Fair, Kéra Smart Hostel boasts free WiFi throughout the property. Daily breakfast is served free of charge. The hostel offers private and shared rooms. Some rooms feature air conditioning. Guests will find a shared lounge at the property. This is our guests' favourite part of Sao Paulo, according to independent reviews.